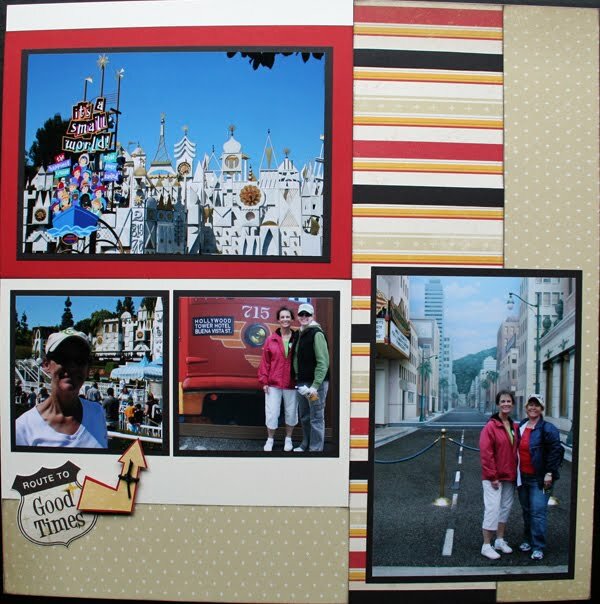 I finally had a chance to sit down and scrapbook some of my spring break photos this weekend! 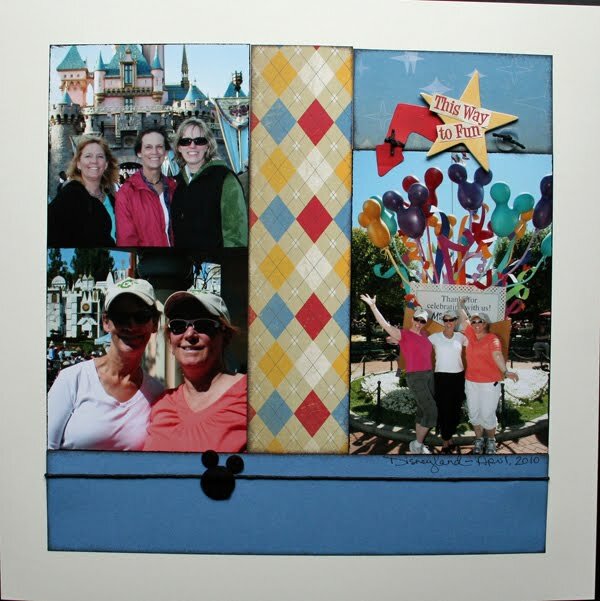 My sister and I took our mom to Disneyland in April, so I couldn’t wait to use the new Zippidee Workshop on the Go! I wanted to make this a more traditional Disney layout, so I covered the Indian Corn Blue stripes with strips of black cardstock! 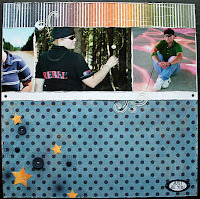 I also had fun layering my journaling stamps using the masking technique. Help me enter a CTMH contest! 1. Place an order on my website for regular and discounted products. My friend Kim is participating in the Susan G. Komen 3-Day for the Cure walk and is hosting a CTMH fundraiser on Thursday, May 27. I’m donating 20% of the retail sales to her fundraising efforts! If you would like your order to be included in this fundraiser, follow this link to place your order! 2. Place a Studio J order on my website. 5. Call or email me with an individual order. 6. Pass this information on to everyone you know! I am having a special drawing of my own at the end of the month for all of my customers. So, if you place an order this month, you will be helping me reach my goal and you will be entered into my special drawing as well. It’s a win-win situation! 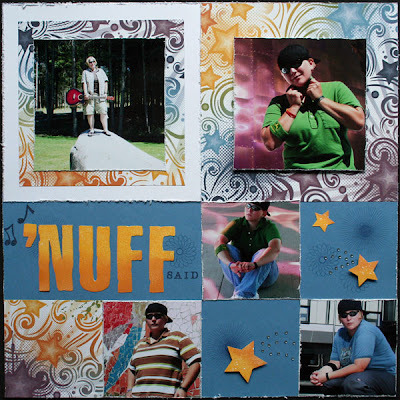 A couple more You Rock layouts! 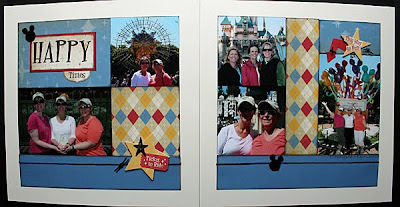 Here are a couple of the layouts I worked on last night while scrapbooking with my friends. I have more details about the layouts on my Close To My Heart Art page. 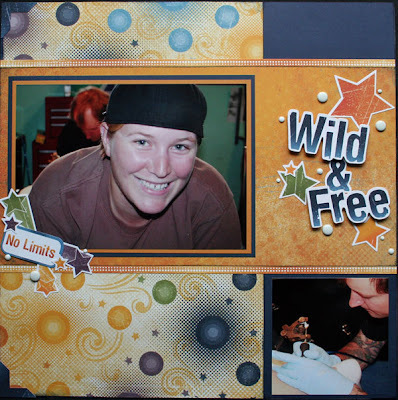 This layout was created using the artwork on the back of the You Rock My Stickease…did you know there were pictures on the back of the Stickease?! 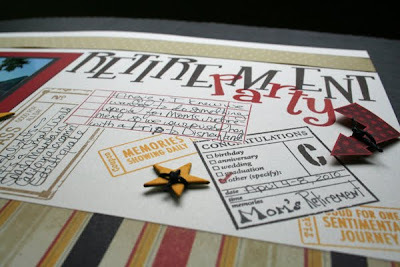 Check it out, because this LO was fast, easy, and oh so cute! I’m feeling pretty good about the fact that I’m only a few days behind in my Library of Memories class; I finished week 1 yesterday! My assignment was to complete a personal page assessment and draw some conclusions based on my current pages. What I found most striking during this exercise is the fact that I really don’t have that many albums/layouts considering (1) how long I’ve been scrapbooking and (2) how many supplies I have! 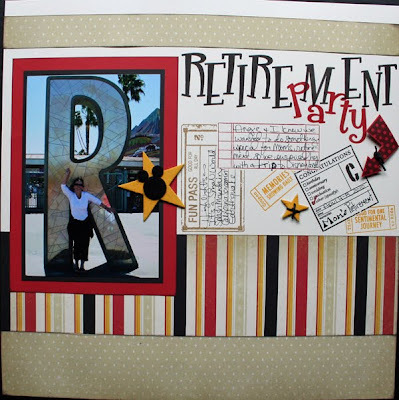 I’ve always known that I’m a slow scrapbooker, but this is ridiculous! Don’t get me wrong, I’m not putting pressure on myself to complete X amount of layouts each month or year, but I do realize that I need to step it up if I’m going to tell the stories that I want to tell before I forget them all! During the Sticky Note Exercise, I also realized that 44% of my current layouts are travel related. I have entire albums devoted to trips to NYC, Las Vegas, Chicago, and Disneyland. I have theme albums that do contain a few layouts about the people I love, but the rest of the layouts focus on the places I’ve been. Now, this wouldn’t be a problem if I had more layouts that are all about us. 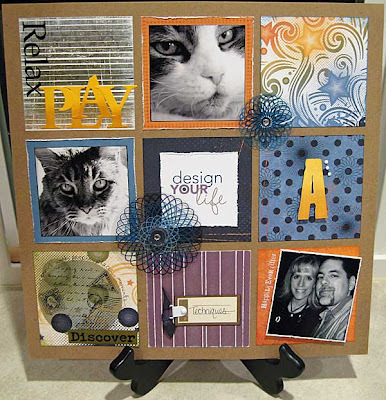 I’m counting the cats in my “All About Us” category, so 14% of the layouts are about us. If I take the cats out, then only 6% are about me and/or Neal. That is pathetic! I want to record our stories and the funny things that happen in our lives. It can’t all be about the places we have been…especially since most of those trips didn’t include Neal! Finally, I discovered that I do a good job of journaling the “what” and “where” of my pages, and I usually name the “who” and “when”. My area of weakness is the “why”! Why are these moments in time so important to me? Why am I taking the time to document this memory? What was I feeling and why does it matter? Wow! These exercises really got me thinking. So, our final assignment was to create a “Least Common Layout” and mine was an “Us–Why” page. As I am incredibly far behind in my Design Your Life class, I decided to use an asymmetry sketch from week 2. It made me feel good to complete two assignments at once. I’ve already scrapbooked our hike, so my focus for this layout was why I’m so thankful that Neal joined me in becoming more fit and how days such as these strengthen our relationship. This layout is simple with a clean design, but it says a lot in a few short words. I will complete more layouts like this in the future! As I finished the Personal Page Assessment, I created a few goals for myself: include journaling from the heart, always answer the “why,” and showcase my relationship with Neal more often. On a product level, I have SOOOOOOOOOOOOOOOO many stamps and embellishments, so I will include some type of embellishment on EVERY LO and will include stamping as often as possible. For this LO, I added a simple bookplate (Z1277) and stamped the sentiment from Soul Mates (D1254). I’m so excited about where this process is going to take me in developing my creativity! Finished Photo Freedom & Started LOM! I finally finished Photo Freedom this morning and started the Library of Memories class tonight! My first step is to complete a personal assessment. 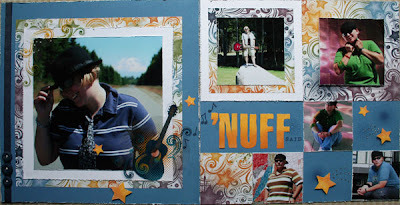 The first question asks about my scrapbooking strengths. I honestly had a hard time with this because I’m such a scraplifter! 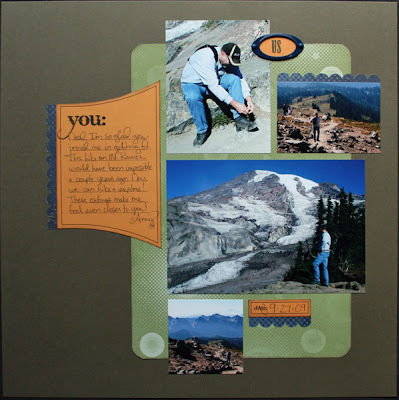 I think my greatest strength is my photography and then finding a layout to scraplift that will fit my needs. I’m growing in my journaling skills as I become more confident in telling stories that matter instead of simply recording events. The next question had me focus on my weaknesses. Again, I bring up scraplifting because I rarely design my own pages, but I don’t know if this is a bad thing. I may not be the most creative or publishing-worthy individual, but I’m able to take other people’s great ideas and make them my own. I love my pages and the stories I tell; plus, I didn’t spend hours coming up with original ideas, so it leaves me more time to scrapbook! 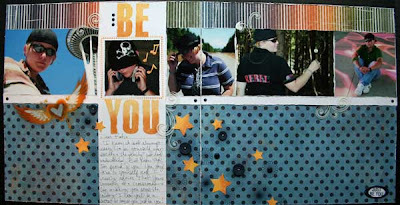 I love the CTMH How-To books for this very reason; they save me time and make me look creative when I’m not! It makes me happy, so I guess that’s all that matters. 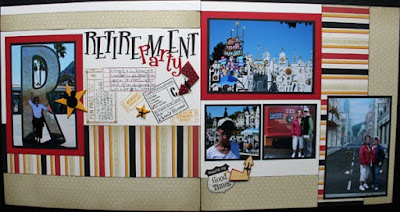 Perhaps I should put as a weakness that I’m the world’s sloooooooowest scrapbooker…LOL! To stop her suffering, Neal and I made the painful decision to put Tanis down Friday evening. This has been an awful weekend. After we brought her home, I posted a photo on my personal journal/blog. Neal copied the photo onto his computer and then asked me if I had pictures from when the cats were young, because he doesn’t have any. I looked at him a little funny and said, “I have scrapbooks of the cats!” He said, “Oh, I guess scrapbooking is good after all.” Really? It took this moment for him to realize why scrapbooking matters?! Perhaps this will motivate him to actually look at some of my scrapbooks from time to time. 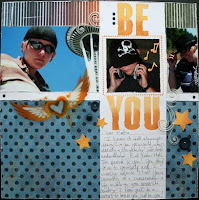 I started this page a couple weeks ago as part of the Design Your Life class at BPS. I knew the cats were getting old, and I wanted to tell their stories while they were alive so it wouldn’t be so painful. 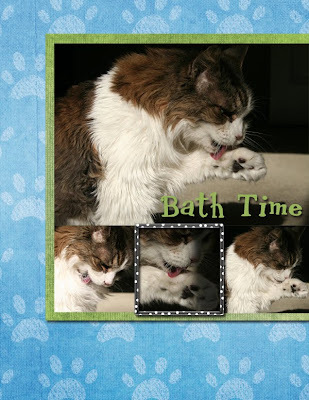 I thought I could also use this project to practice my digital scrapbooking skills. I had no idea that Tanis was going to leave us so soon! Now it is more important than ever that I tell her stories before the memories fade. I absolutely love the new paper kit, You Rock! The colors and design are fantastic. 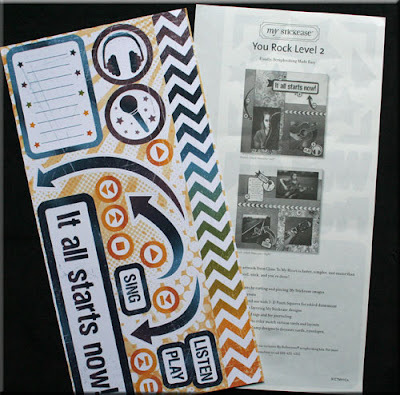 This is my version of the You Rock Workshop on the Go. This awesome LO took less than 1 1/2 sheets of B&T, so I still have a ton of paper, cardstock and embellishments to play with this weekend! This paper is perfect for this LO about my niece, Kate. 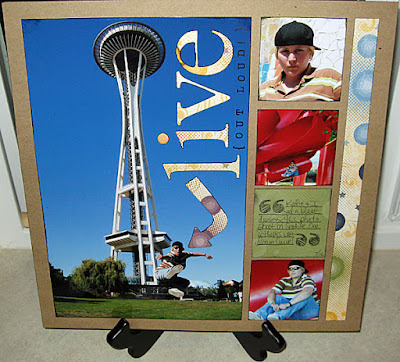 We took these photos in Seattle and at my house in 2006. Today she is gearing up to go to New York for a job interview! I’m so proud of and excited for her! I used this LO to write a letter to her. 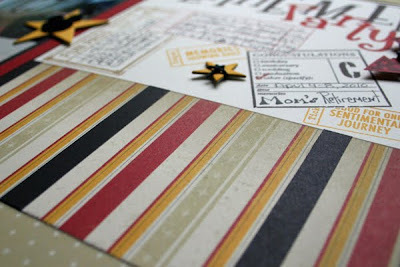 In addition to the Just Be You exclusive stamp set that comes with the Basic WOTG kit (G1006), I used Comments (D1359) for the journaling lines. 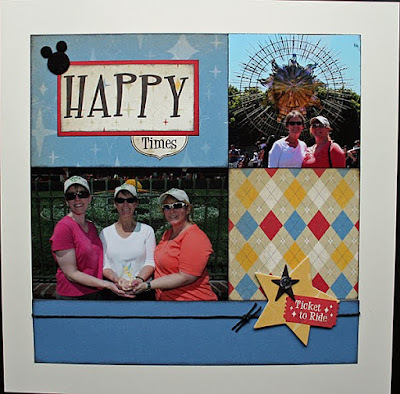 Comments is a must have stamp set! Unfortunately, this photo is a bit blurry, but I’m sure you get the idea. For my LO, I used the “Best” option and added the Rockin’ Top Coats™ (Z1272) and White Hemp (Z281). I forgot to order the Bitty Sparkles (Z1263), so I’ll just add them later for a little bling on the page! 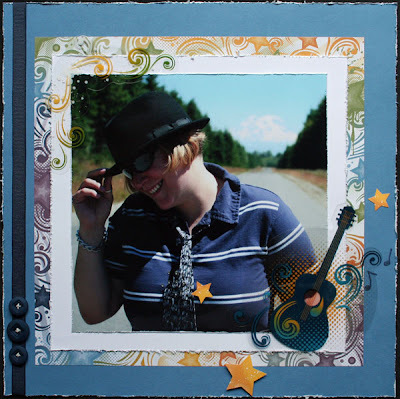 The Rockin’ Top Coats™ (Z1272) include 14 fun and funky, colorful overlays! They do have a plastic film covering the top so the image doesn’t get scratched. Be sure to take the film off before using the Top Coats™. Okay, I’m off to make another LO with this kit, because You Rock rocks! Good news! 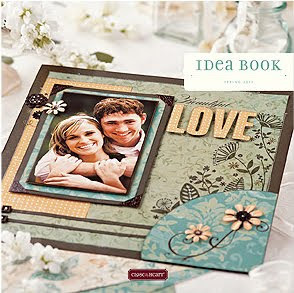 The Spring 2010 Idea Book launched today! Click the cover and browse the book. If you want a paper copy, please let me know.